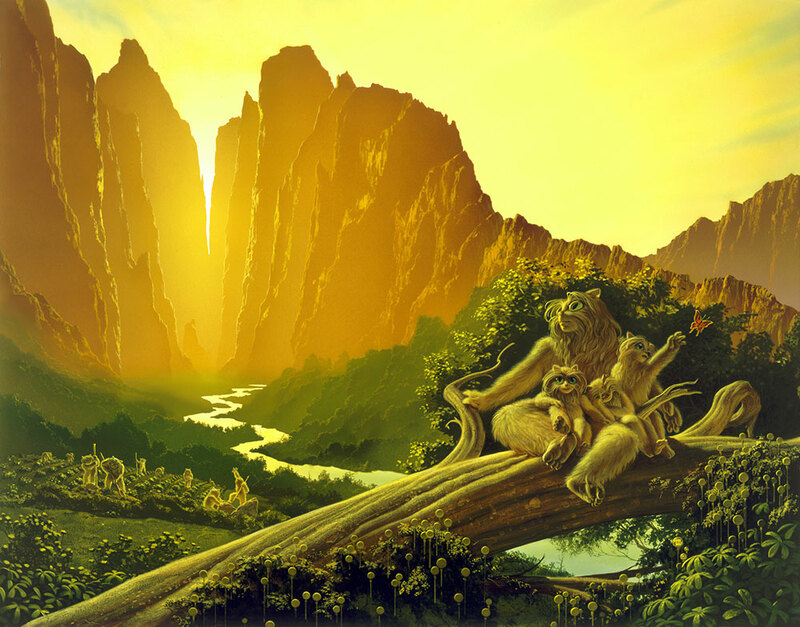 Acrylic on Watercolor Board - 24" X 30"
Cover art for the novel of the same name by Ardath Mayhar which continues the saga of the shipwrecked aliens the Fuzzy Sapiens. They're still adorable, but Michael also shows us their intelligence and yearning. 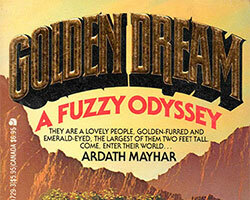 While the mother searches the skies for a rescue party, a sleeping fuzzy actually seems to be the book's title. Another one reaches for a butterfly - Michael's symbol for the technical knowledge that got them to this new planet and is quietly slipping away. 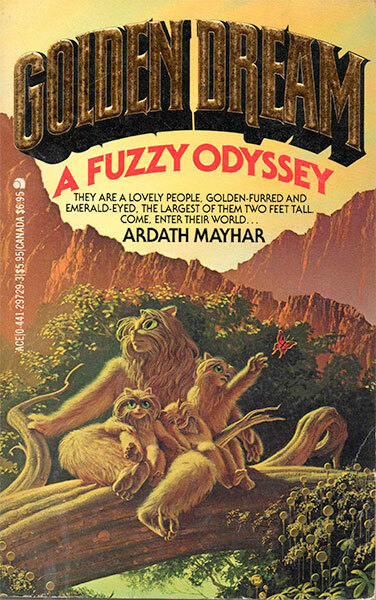 In their hidden valley high in the mountains of the planet Zarathustra lived the golden-furred creatures who called themselves Gashta, but were known to men as Fuzzies. Here is the story of their ancient culture, and of how they encounterd the invaders who called themselves human beings.